Along with my glass project this semester, I also started taking a typography course. The lessons and projects started quite late into the semester, which is why this is my first post. For our projects we were focusing on three-dimensional typography which encompasses any type of typography that uses space and isn’t written or flat. 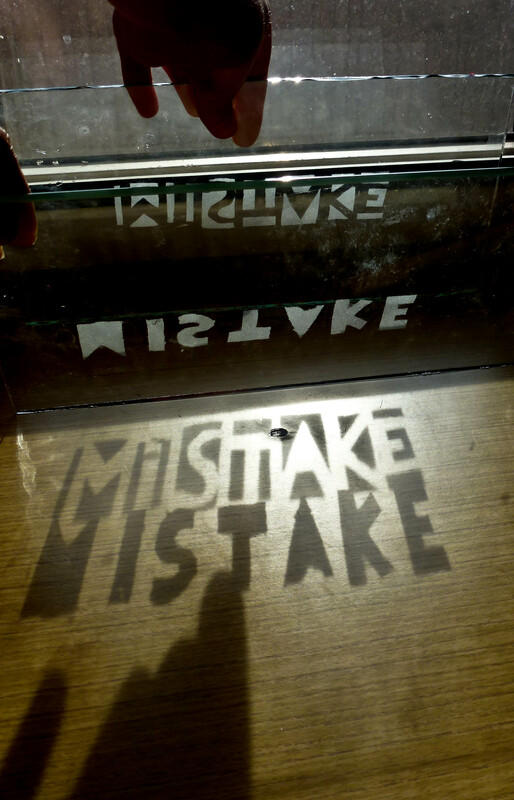 We were also given the theme of ‘Mistakes’ and were asked to write an essay on whether we should or shouldn’t make mistakes alongside our 3D typography. For me I wanted to orientate my work around glass and what I have learnt this year studying the material, so my immediate thoughts were of broken glass and cracks. 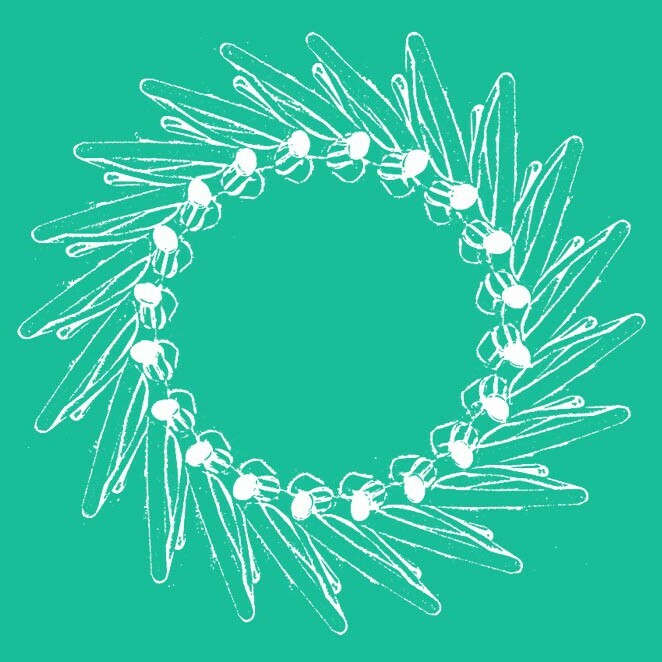 However, this was quite a simple idea so after a few discussions about how I could use the glass in more inventive ways, I settled on using the transparency of glass to project shadows, making the three dimensional type. Ironically, the first piece I made actually had mistakes with the lettering, as the layered, sandblasted glass pieces prevented light from shining through. However, in my opinion, this mistake was the piece’s success as it really emulated the message the type was trying to portray. 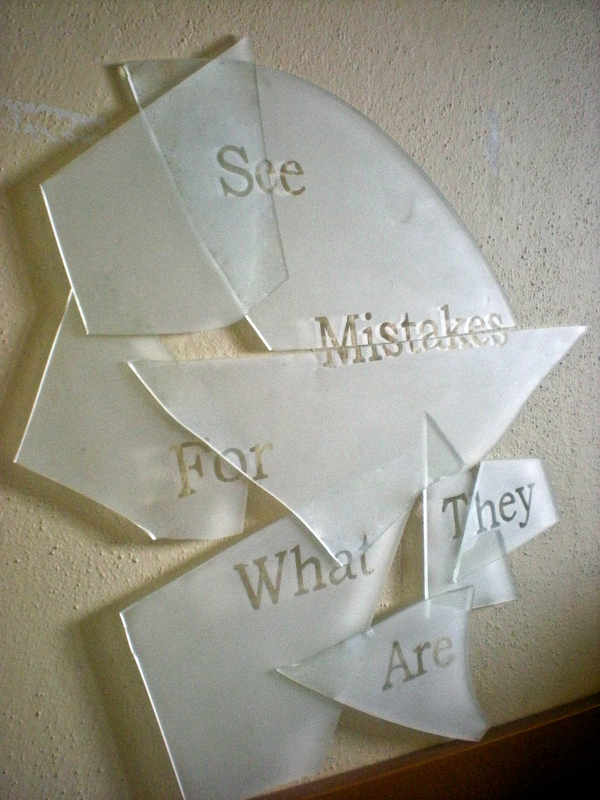 The only improvement I would make to this piece is the font, as it is too neat and clashes with the broken glass. The pieces I am working on now have a much simpler font which I feel is far more suited to the visual outcome of my project. With these pieces I have spent more of my time experimenting with the shadows the text makes and how I can manipulate them to emphasise the message. Overall, this project has been really interesting and a welcome change from working in the glass studio: Although I am still working with the same material, I have been allowed to explore design avenues I wouldn’t have considered without this course and by having a smaller project alongside my big lighting one, it has kept me creatively inspired and motivated.